When BGP updates travel through different Autonomous Systems (AS), EBGP routers prepend their AS to AS PATH attribute. BGP routers use this information to check through which Autonomous Systems certain updates passed. If a EBGP speaking router detects its own AS in AS PATH attribute update, the router will ignore the update and will not advertise it further to IBGP neighbors, because it is a routing information loop. This is a built in mechanism for loop prevention in BGP. For advanced control over BGP Weight attribute, Route Maps can be used. To recall, Weight attribute is used by BGP to break the tie when there are more routes to the same network. Route with the highest weight is preferred. 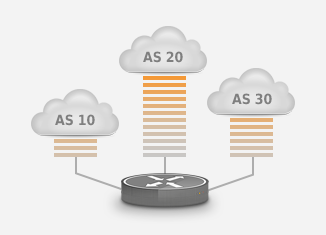 Weight attribute is a Cisco feature, it has local meaning and it is not transmitted to other routers. 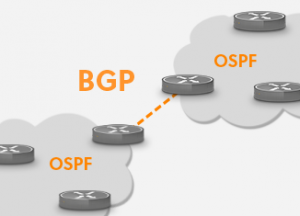 When BGP has multiple paths to the same destination it must decide which one to select. 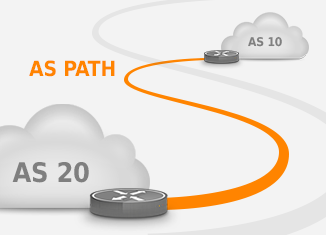 The route selection process is based on attributes, where the Weight attribute is the first one that BGP takes into account when deciding which path to choose in order to reach the destination. BGP is an autonomous system by autonomous system routing protocol, and next hop value of BGP network updates that leave an AS, is the IP address of the router at the exit point from AS. EBGP multihop option often is used to peer with an external neighbor. If there are multiple paths between EBGP peers you will probably want to take advantage of that. 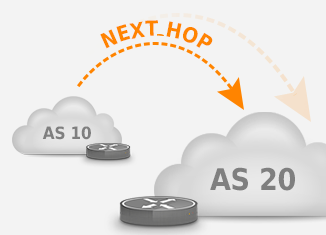 Therefore you will need to use a loopback interface as update source.